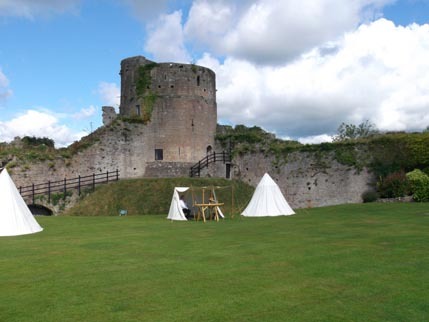 We spent last weekend at beautiful Caldicot Castle in South Wales, one of my favourite venues and despite a bad forecast and wet weather all the way down we had a lovely weekend with lots of sun. 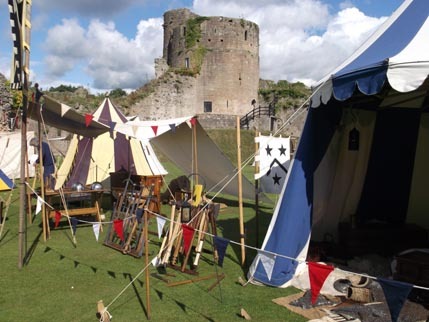 Here are some of my favourite sights – medieval tents in a sunny castle! 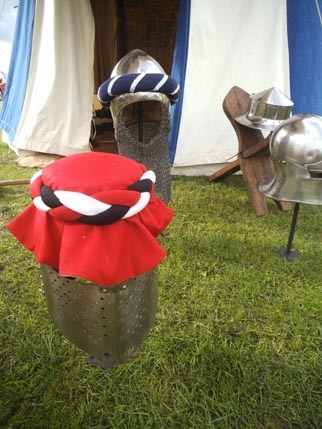 I have found the picture I took at an earlier event of the helm mantle I made, this is the red covering with plaited band in the front of the picture, the orle I made earlier is at the back. 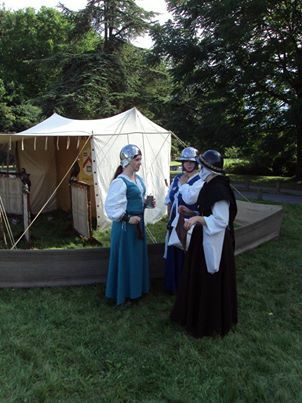 The Sisters of Mercia, our little watercarrying group, have had a lovely, lovely season, we have really enjoyed ourselves and made some new friends as well as spending time with old ones. 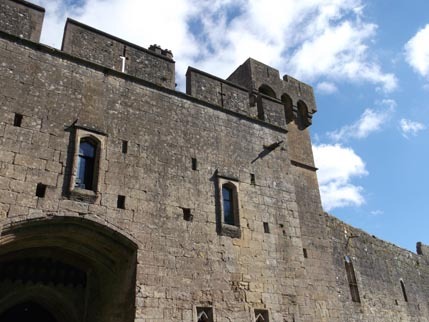 We are really looking forward to next year. 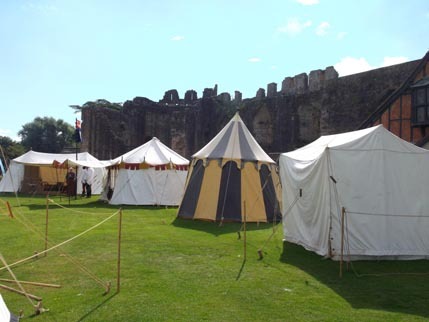 I will leave you with this pic of us – courtesy of our friend Dave, this was taken before going onto the battlefield. Since the very hot Tewkesbury event and the introduction of cold flannels (as well as water and jelly babies :-)) we have been carrying our own flannels. I have titled this picture, ‘Kerry demonstrating to the Sisters the correct use of the cold flannel’ 🙂 We are obviously listening to her really carefully! It is a skilled job this watercarrying you know.